Comic Towel: Ramblings: Pay Dirt, Bubbles and Killers. "The residents of tiny Crozet, Virginia, thrive on gossip, especially in the post office, where Mary Minor "Harry" Haristeen presides with her tiger cat, Mrs. Murphy. So when a belligerent Hell's Angel crashes Crozet, demanding to see his girlfriend, the leather-clad interloper quickly becomes the chief topic of conversation. Then the biker is found murdered, and everyone is baffled. Well, almost everyone... Mrs. Murphy and her friends, Welsh corgi Tee Tucker and overweight feline Pewter, haven't been slinking through alleys for nothing. But can they dig up the truth in time to save their humans from a ruthless killer?" 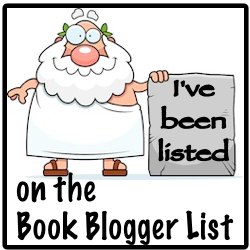 This post will probably have less to do about the actual book, but more on a thought about the cozy mystery sub-genre. Let’s make this quick. 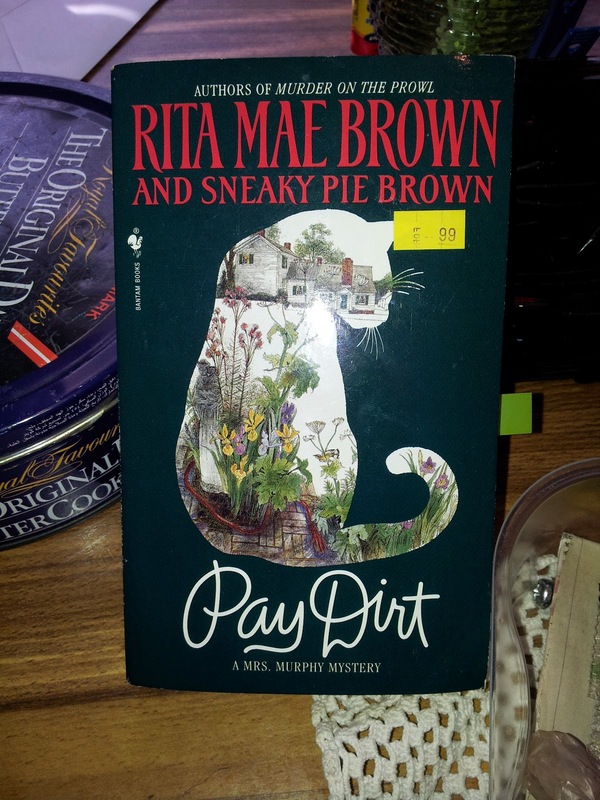 Pay Dirt is book four in Rita Mae Brown and Sneaky Pie Brown’s Mrs. Murphy series. Evidently, I'm becoming attached to this series, which works for me because the cast–both human and animal alike–are fun to spend time with as they try to place their heads (as well as ears and noses) together as a community to solve small-town murders. Or better yet, the disruption and chaos draping their knit community because of murder. This ensues a slew of gossipers congregating at the local post office, with many of them not sharp enough to keep their mouths shut with a potential killer in the room. And another few (including the main protagonist) can't hold water even when the police ask them to withhold important information. So honestly, the mystery could be solved through the gossiping townies, contrary to actual sleuthing, clues and evidence. Talkative interesting characters and their quirks makes a cozy mystery indeed. 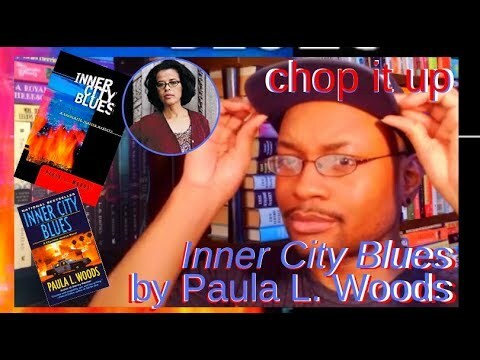 Nonetheless, this kind of leads me to another little thought concerning this sub-genre of the mystery literary form, and it’s something that lightbulb'ed me with the Mrs. Murphy series. The main cast of townies in cozies hardly ever changes, but a secondary cast of fresh townies emerges per book. That brand new cast consists of maybe four or five individuals never mentioned previously. (I say this suggesting it’s a series, and you‘re a number of books deep into it.) To the reader, those four or five secondary townies are in obvious placement as suspects and killers. Some are more interesting, entertaining, and likeable than others. However, as the case closes and the killer is caught, so are those interesting characters. They're either murdered or never show up again later in the series. Then it’s on to the next book and the next brew of secondary cast members. And here ends the thought. This kind of limits everything as Pay Dirt‘s mystery unfolded. How so? Because all you really have to do is take note of the secondary cast of characters that are introduced. They're like in this bubble, so much so that I knew right away who the culprit was and had a general guess as to why they committed the murder(s). And once again, considering the series is written in the third person, their intent generates from wrath and greed (the easier of the two sins) which makes it super easy to conclude early on who‘s responsible and more or less why. So it’s not a bad thing at all knowing the whodunit, nor is this always marked and strict to this sub-genre. It’s just clear that it’s too easy to separate the main cast from the “others“ when it comes to your engaging in the deduction. There's no challenge other than watching the case bloom while managing your own assumptions about the clues at hand. Just a thought. Nothing serious. Other than, sometimes I like the secondary characters too and hate to see them killed off or survive only to fall into the town’s history. That's mostly where all of my current rambling is coming from. I wanted to get my thoughts down before I got lazy, so pardon any confusion. Nevertheless, I wanted a little more from these secondary characters and their drama outside of Pay Dirt. However, I get that the actual hook of the series is the voice and perspective of a cat and dog sleuth–which really is where it's at. So here's to book five!